Older adults are less likely to need to change residences if their homes have certain features, including no stairs, a new study found. “Most older adults do not want to move to a nursing home, and supporting older adults to age in the community has potential to improve quality of life and costs for care,” said lead study author Marianne Granbom of Johns Hopkins University in Baltimore, Maryland, and Lund University in Sweden. “But to truly understand how aging in place can be supported, we need to shift focus from merely looking at individual health problems to also include the environments they live in,” she told Reuters Health by email. Granbom and colleagues analyzed data collected between 2011 and 2105 on 7,197 U.S. adults ages 65 and older. During that period, about eight percent moved within the community and four percent moved to residential care facilities such as nursing homes and assisted living. Overall, those who lived alone had a lower annual income, and visited the hospital during the past year were more likely to move. After taking health factors into account, poor indoor accessibility was strongly associated with moving to a new home in the community, but not with moving to a nursing home, the researchers reported in Journals of Gerontology. Having a one-floor house or having the kitchen, bedroom, and bathroom on one floor were the features most strongly associated with aging in place. Dwellings with elevator access, lifts or stair-glides were also helpful. No other home environment factors, such as entrance accessibility or housing conditions, were associated with relocation. For older adults, moving to more age-friendly home environments could help postpone the need for a nursing home, Granbom said. The study found that the longer the adults had lived in their current homes, the less likely they were to move at all. Future studies could incorporate the emotional attachment to home to better understand the complexities of relocation decisions, the authors wrote. 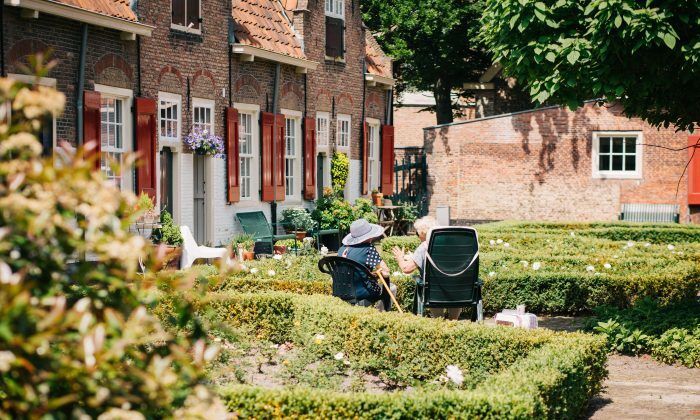 Dr. France Legare of Laval University in Quebec, Canada, who wasn’t involved with this study but who has researched housing decisions among older adults, suggests some home-planning ideas to consider. Other features such as improved lighting, a no-step entrance, walk-in showers with grab bars, and railings on both sides of indoor stairs could help, said Jon Pynoos of the University of Southern California in Los Angeles, California, who has researched the future of housing for older adults.